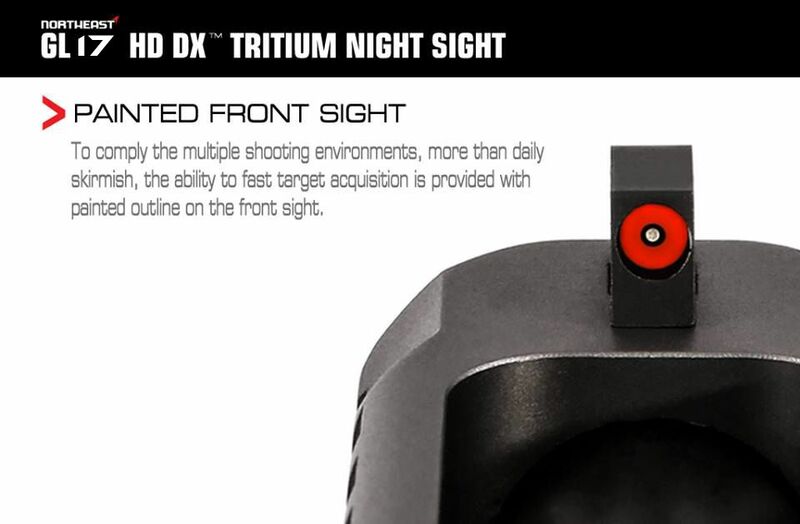 Full CNC machined with steel, and heavy handwork to make it perfect. 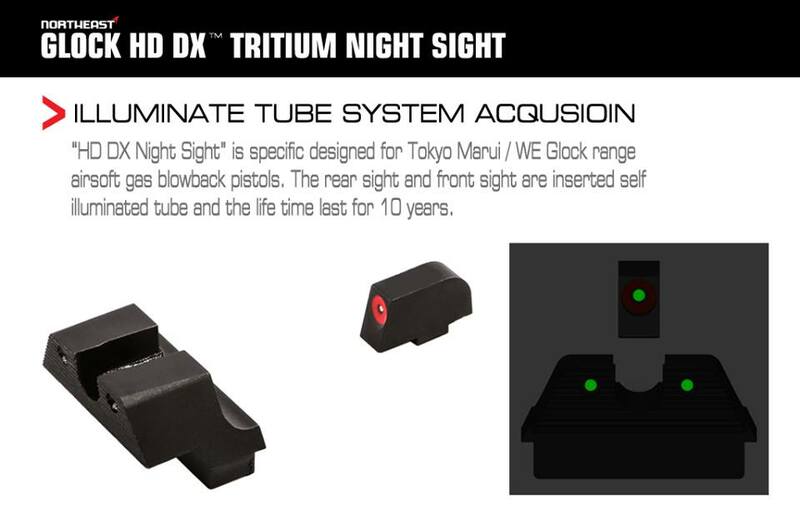 Realistic s.HD DX Night Sight is specifically designed for Tokyo Marui / WE/ KJ Glock range airsoft gas blowback pistols. 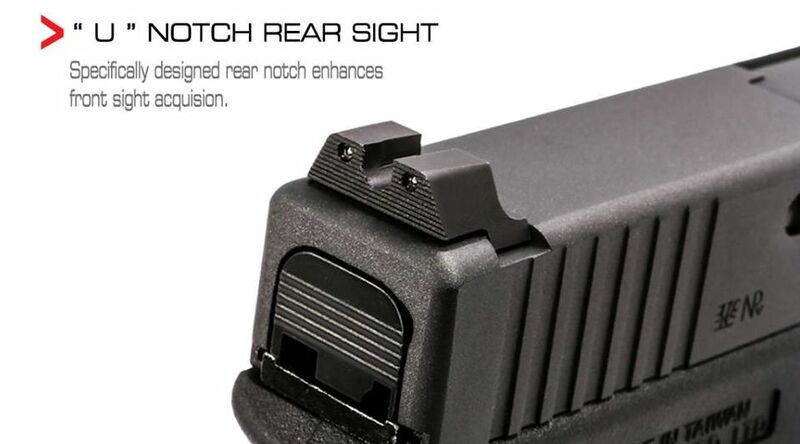 The rear sight and front sight are inserted self illuminated tube and the life time last for 10 years. 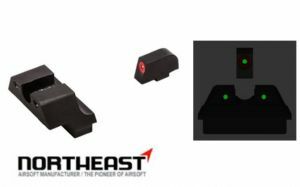 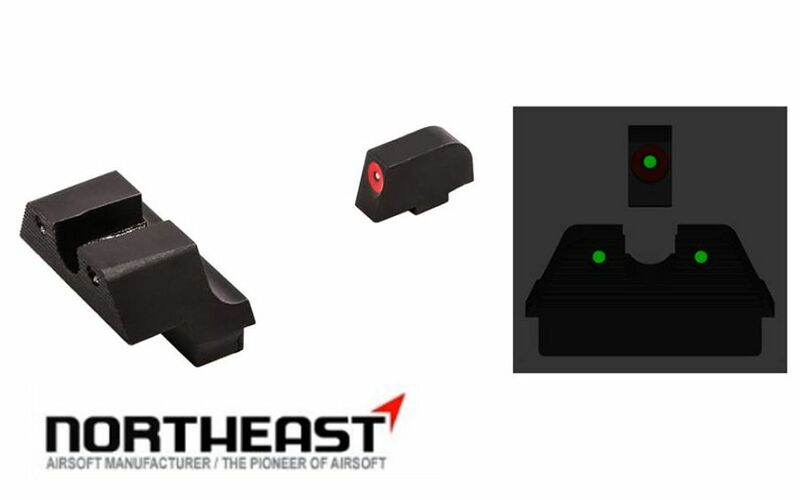 To comply the multiple shooting environments, more than daily skirmish, the ability to fast target acquisition is provided with painted outline on the front sight.